It's red carpet official! 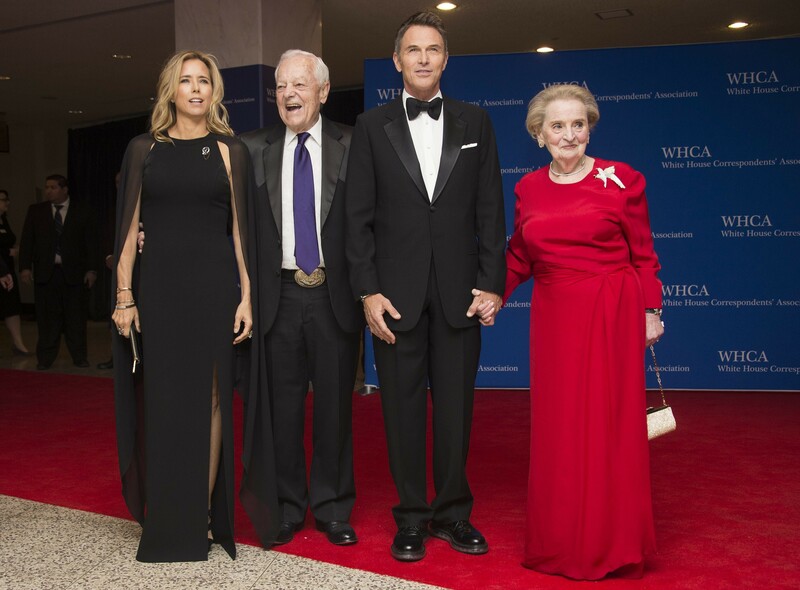 Téa Leoni and Tim Daly made their first public appearance as a couple Saturday at the 2015 White House Correspondents' Dinner in Washington D.C. The pair, who confirmed their relationship in December 2014, play on-screen spouses on the CBS drama "Madam Secretary." Leoni, 48, plays the United States Secretary of State, while Daly, 59, plays her professor husband. Schieffer said he helped bring the foursome together. "I called Téa and said, 'How would you like to come?'" Schieffer told People. "And I said, you know, we'd love to have you bring Tim along." Leoni and Daly's offscreen relationship was confirmed in December, months after the actress finalized her divorce from David Duchovny, her husband of 17 years. Daly divorced his wife of 26 years, Amy Van Nostrand, back in 2010. Last fall, Daly raved about working with his onscreen wife in an interview with Collider. "We get along really, really well," he said of Leoni. "We have a really good time. I've gotten along with plenty of people, but the chemistry sucked. And I've hated people where the chemistry is great. It's much better if you get along and the chemistry is good. That's perfect."